2011 Clio Award Winners. Advertising History at it's Finest! Free Shipping! This DVD introduces the 52nd Annual Bronze, Silver & Gold Clio Award Winners from 2011. The award, named after the Greek Goddess/Muse Clio - meaning proclaimer, glorifier & celebrator of history, great deeds & accomplishments - was first given in 1960. 2011 Award Winners featured in this collection are: Coca Cola, Direct TV, McDonalds, AllState Insurance, Puma, Orbit, Amnesty International France and many, many more. This video gives one authoritative insight of the advertising and marketing world of 2010 and is a wonderful study tool. It is also pleasantly informative. The 2011 awards show was held at the Museum of Natural History on New York's Upper East Side on May 11, 2011. Awards were presented for work preformed in the previous year. Comedian Lewis Black hosted the show. 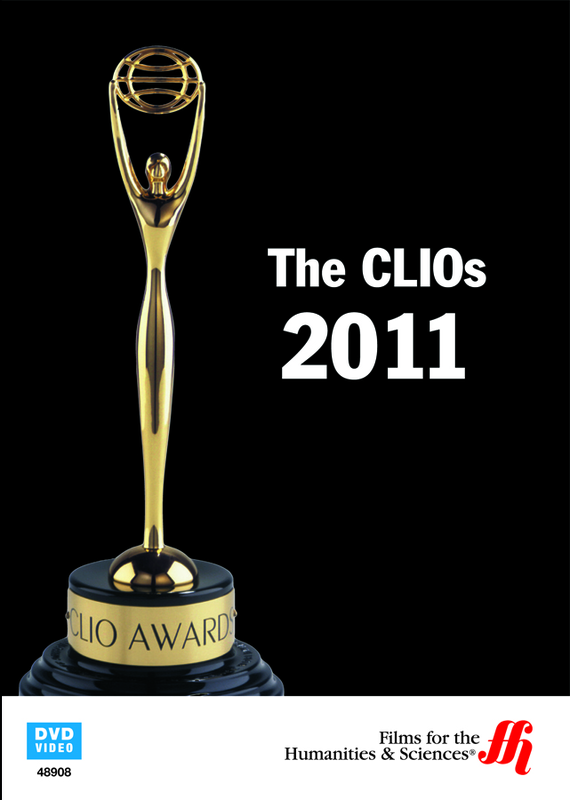 The CLIO Awards is committed to celebrating and rewarding creative excellence. It honors advertising's powerful form of communication and its impact on modern culture. Viewer Discretion Advised. Contains Graphic Violence, Offensive Language & Adult Themes.